Ny-Lon is a TV series filmed in London and on location in New York’s Lower East Side in 2004 which followed the troubled romance between a bohemian New York record store clerk, Edie, and London stockbroker Michael, after their chance meeting in his city. Plot Summary: Ny-Lon is a very innovative series that I wish had seen a longer life; it only lasted one season. However, if it did, then we might not have seen Stephen Moyer in True Blood. Even with only seven episodes, it was a joy to watch. The two lead roles, Rashida Jones as Edie and Stephen Moyer as Michael are perfectly cast and clearly show that they are talented and have a long and successful road ahead of them. The settings, both in New York and London seem entirely real. The grungy second-hand NY record store where Edie works, Michael’s docklands loft apartment, Edie’s tiny Soho NY flat and the impersonal environment of Michael’s overcrowded open-plan city office are all very well thought-out. The character development is also very intelligently planned. I enjoyed the use of split-screen, and it’s interesting to watch events from a number of different characters’ points of view. Many of the scenes are reshot from the characters different perspective. First, we see it one way and then we go back in time to see the same scene from another’s point of view. This fascinating piece of television drama reflects the reality of the fact that the world is getting smaller and the affairs of the heart are increasingly spanning the globe and there’s no stopping it. It also speaks volumes about the need for innovative and creative direction and camera work which can grab the attention of an increasingly critical audience. Interesting trivia tidbit from the series is when Steve Emery calls Michael’s office, which of course, is Stephen Moyer’s real name. As you must know, Alan Ball was the creator of True Blood and his previous show was Six Feet Under. Six Feet Under had an awesome ending scene that use the song “Breathe Me” by Sia. However, it was not the only show that featured the song. 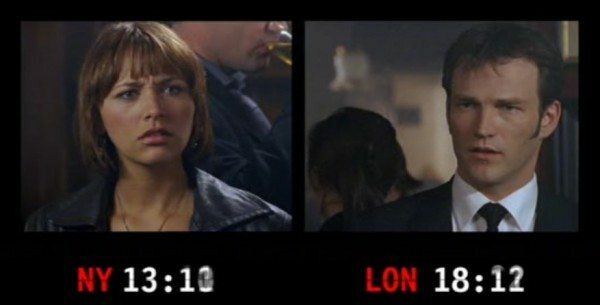 NY-Lon also used it in an emotional scene in NY-Lon’s final episode where when the British Michael just asks his American girlfriend Edie to marry him and she refuses. He leaves her New York apartment and walks around in the streets ending up crying in Time Square. And there we find a connection back to True Blood. 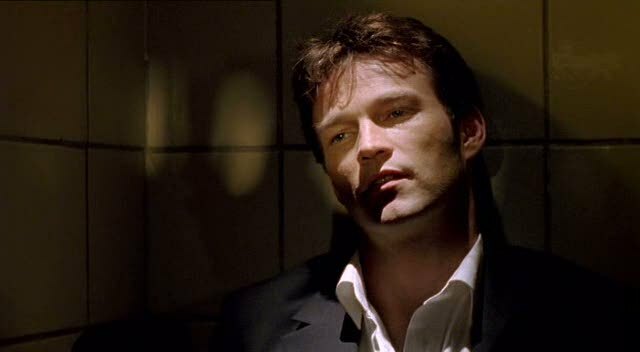 Because Alan Ball created True Blood and hired Stephen Moyer as Bill, also created True Blood and the man crying his eyes out in Time Square is… Stephen Moyer. Stephen recalls battling to complete this emotional scene in the middle of a typically chaotic Saturday night. “I was shooting on this traffic island in the middle of the mayhem, with me walking along, and there are cars pulling up, people shouting at me. “My favourite heckle was when I was crying my eyes out and this car pulls up and a guy shouts out ‘Adrian! Adrian!’ exactly like Sylvester Stallone does when he finishes the fight in Rocky. It was hilarious. I thought that was a fantastic heckle.” (source) You can read about this six degrees of separation here. Oh my God, I’ve been going crazy looking for this series… Any idea of where I can find it? Yes, where can I see this one at? I’ve spent an entire week looking for this online. It’s frustrating me. Anyone know where we can find this? loved this series, saw it on YouTube. I’m a fan! Love this series! Love Stephen Moyer in this series! Just so much fun to see him in almost every scene – and he’s amazing! I’ve watched Parts 1 and 2. It is fantastic. I am so unbelievably hooked. Stephen is truly amazing. Thanks, moyer_chick, for the videos. One more to go. Just finished with Part 3. I love Stephen’s Michael. Fingers crossed that the remaining episodes can be uploaded. Great show, they needed a proper ending to it. Hated the pointy sideburns but he’s still hot as usual. Şu adamın favorileri kesesim geliyor!!! It was such a beautiful sad love story! UHG I can’t even describe how much I loved watching this! Then when it ended…my feels omg!!! OH I remember this. I loved it. 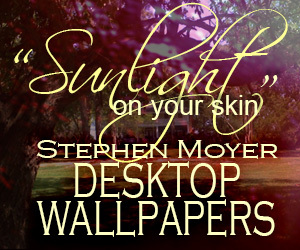 I didn’t realise it was Stephen Moyer till now. I saw this one and two others called Men Only and Empathy. He was great in both. Love the show. Sorry it didn’t continue (w/ a happier ending). She better not get the “hots” for Sookie’s husband. I love Stephen, handsome Stud! Stephen gave a wonderful performance as the sensitive & intense Michael. Great series! Nylon is superb, I’ve kept a copy of the series I enjoyed it so much and I’ve seen it several times. So cute! Just love him!